In a recent case from the U.S. Court of Appeals for the Seventh Circuit, Social Security Disability Insurance claimant was prescribed Xanax in 2009. Xanax is a fairly powerful (depending on the dose) benzodiazepine medication that is commonly used to treat various types of anxiety disorders and their symptoms. In this case, claimant was being treated for panic attacks, bipolar disorder, depression, and a general anxiety disorder. One of the problems with Xanax and other benzodiazepines is that they are very addictive. We often hear a lot about how there is a major problem with opioid addiction in this country, and that is certainly true. However, opioids are either synthetic or natural derivatives of the opium poppy. This includes heroin, morphine, fentanyl, Vicodin, OxyContin, and many others. Benzodiazepines are not derived from natural or synthetic opium, but they are also very addictive as described above. Xanax was heavily prescribed in the 1980s, and that is when many were addicted. However, benzodiazepines are still prescribed today, and some patients do become addicted. In this case, claimant became addicted to Xanax, and this was noted in her court records as well as her medical records.A year after she started taking her medication, claimant fell down a flight of stairs and was seriously injured. She was diagnosed with a brain hemorrhage that claimant said left her with serious and permanent injury. As for her injuries, she had short-term memory loss, attention deficient hyperactivity activity disorder (ADHD), a seizure disorder, and fibromyalgia. As our Boston Social Security Disability Insurance (SSDI) benefits attorneys can explain, fibromyalgia is a very complex neurological condition that is still not fully understood. One of the major problems is that it is a very real and painful medical condition, but, for many years, people (even in the medical community) thought many of these patients were essentially feigning illness. Doctors now know that fibromyalgia causes chronic pain in muscle and soft tissue, according to WebMD. This means that a patient with fibromyalgia could be in pain all over his or her body and not be able to do anything about it. They also list various trigger points throughout the body that we now know can be treated with specific types of medication. The disease also makes it very difficult for patients to sleep. However, since it was a not an official recognized medical condition for many years, people just had to live with the pain. Unfortunately, due the intense pain and people telling them were faking their symptoms, it was even harder for some victims. Some became addicted to powerful painkillers and others experienced different types of problems. 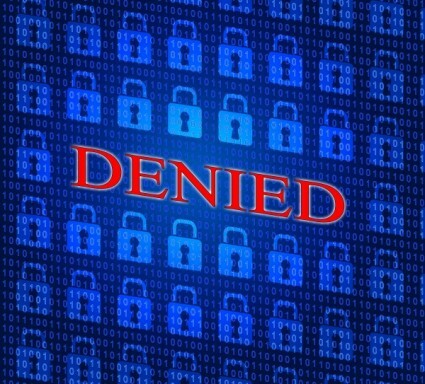 The claimants could not work and if they applied for SSDI benefits, they were going to have a very hard time since the Social Security Administration (SSA), the agency that oversees the Social Security Disability Insurance program, would not grant disability benefits for that reason. In this case, claimant was also suffering from post-traumatic stress disorder and filed a claim for Social Security Disability Insurance benefits. Her application was initially denied. However, this is not a shock. 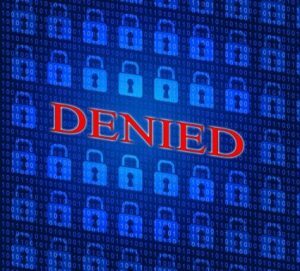 In fact, the vast majority of all applications are denied upon initially being reviewed by a Social Security Administration caseworker. This person who is initially reviewing your application is not a doctor and is not really doing anything except giving the application a cursory review. It is not a written policy, but the denial of most applications is standard operating procedure as a way to save money. This is because, for years, Congress has consistently not provided the SSDI program with enough funding to properly run, and it does not look like this is going to change any time soon. After her initial application was denied, she applied for reconsideration. This can be done in writing by filling out a form or by creating an online account and submitting an electronic request for reconsideration. This is probably the easiest option, but you should not do it without the help of an experienced Boston disability attorney. While it is true you are allowed to represent yourself in the SSDI appeal process, including a request for reconsideration, it would be a very bad idea to do so. This is because the system is very much set up in a way to disadvantage the claimant if the claimant is seriously disabled. The reason for this is because the judges and experts who are all supposed to be neutral and unbiased are all getting paid by the Social Security Administration, and it is SSA that is trying to deny your benefits. You want to make sure you have someone on your side who has experience with the system and will fight for your right to a full and appropriate award of Social Security disability benefits. At this point, after her request for reconsideration was also denied, she applied for an appeal before an ALJ. At this hearing, the ALJ determined she was severely impaired by her various disabilities, but not enough to quality for benefits. In order to come to this conclusion, he had to find that the treating physician’s opinions were incorrect. That is what he did, but that was also the reason for the appeal. The regulations of the Social Security Administration do allow the ALJ to override the opinion of a treating physician, and there is a presumption in favor of the following treating physicians’ opinions. The reason for this is because the treating doctor had the most contact with the patient and in a better position to understand the extent of claimant’s disability. In order to go with the opinion of the doctor hired by SSA to review the claim, the law requires ALJ show exactly why he or she chose to do so, and include evidence as to why the treating doctor’s opinion is not correct. In this case, the court of appeals reviewed the record and determined the ALJ had “serious deficiencies” when making findings and denying disability benefits. In part of her medical records, there was a report a medical examiner from the state had already given her a full examination and determined she could not handle her own financial affairs and needed a conservator. This was because of her emotional issues and her medical issues. The ALJ, when deciding on whether or not claimant was disabled, disregarded this doctor’s opinion without citing sufficient reasons as to why he would do so. One of the major issues was the doctor whose opinion contradicted that of the state medical examiner did not even examine the claimant. Instead, that doctor reviewed medical records and formed an opinion after doing so. While this is allowed, that opinion cannot be the basis of overriding a treating physician’s opinion without additional corroborating evidence.